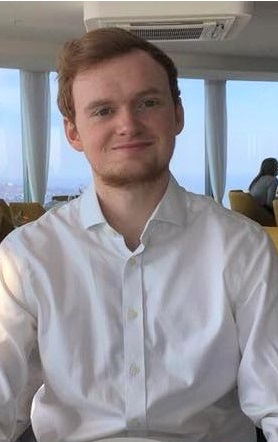 Fergus was born in Cambridge, UK and is currently in his final year studying for an MSci in Chemistry at the University of Birmingham. In his third year Fergus spent a year in industry working at Robinson Brothers Ltd in the “Polymer Additives Laboratory” synthesising and testing a new “Nitrosamine safe” accelerator for the vulcanisation of natural rubber. As part of his work he contributed to a paper presented at the IRGCE 2018 in Malaysia. He is now completing his Masters project in the Dove group working under the supervision of Dr Mathieu Tschan on a new method for the depolymerisation of PET.